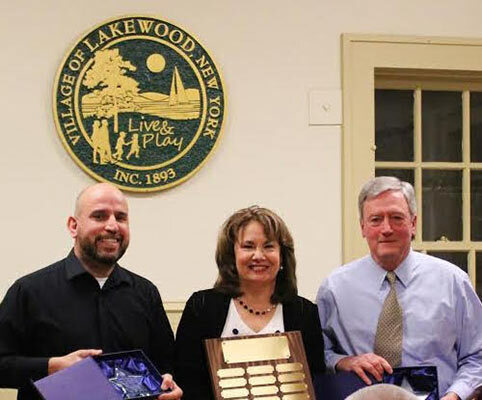 Those receiving the Lakewood first annual Volunteer of the Year Awards are Edward “Ted” McCague for his work leading the effort and chairing the Comprehensive Planning Steering Committee toward adoption of the Comprehensive Plan, and Scott Mekus, of Eventz by Scott, for Co-Chairing the newly created Lakewood Events and Marketing Committee, and bringing larger events and greater marketing efforts under budget during 2016. The perpetual plaque can be seen at village hall. 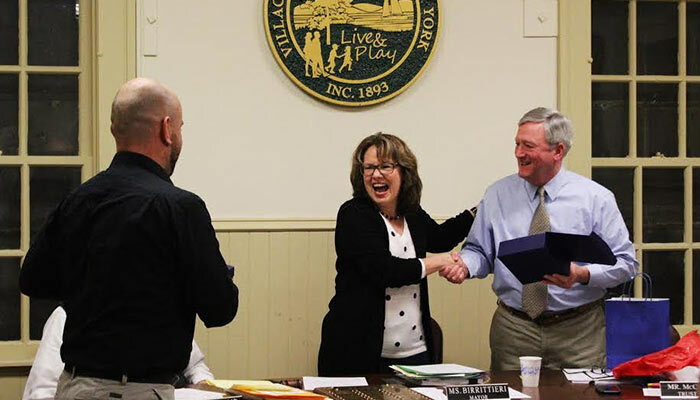 It was donated to the village by the mayor and her husband A. Jackson Smith, Jr., Lakewood native, and SWHS ’87. Original article by the Jamestown Gazette.